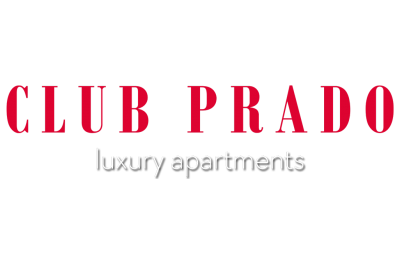 Club Prado is redefining ultra-luxury apartment living in West Miami. From the moment you arrive, you’ll experience what defines Club Prado—a relaxed, casually elegant, and comfortable atmosphere with the highest level of finishes and service. Those who wish to unwind will revel in our spa-like amenities. Enjoy the peaceful serenity garden, resort-style swimming pool and spa, and sun deck equipped with your own private cabanas. Residents also have access to a state-of-the-art fitness center with on-demand fitness classes, an outdoor kitchen and bar, a dry sauna and steam room, and a resident lounge—complete with large flat screen TVs, a game room, wireless internet and computers, and a coffee café. You can relax, renew and reconnect the moment you arrive home. Club Prado’s chic décor and elegant architecture carry through to the interior design of each apartment. Our spacious, pet-friendly apartments offer decadent features such as gourmet, stainless kitchen appliances, quartz counter tops, large walk-in closets and suede-textured porcelain flooring. Plus, purposefully designed live-and-work residences offer an added benefit for those who work from home. Each space is infused with warm, calming, and sophisticated colors that welcome you home. Live with an air of sophistication at Club Prado.